I keep changing my photography gear fairly frequently depending on my needs. I am a strong believer of the quote made by David duChemin – Remember, gear is good, but vision is better. Here are the my current Photography Gear. Purchases from B&H Photo using these links will help you support this blog. Self built desktop, Intel 4th generation i7 4770 Processor, 32GB RAM, almost 8 TB internal storage, Nvidia GTX 760 video card, Multibooted 64bit Windows 7 Ultimate SP1 with several flavors of Linux on 30″ Dell U3011 Monitor, Wacom Intuos 5 Tablet. Levnovo y-50-70 Laptop, Couple of Nexus Tablets and Motorola Moto-X 2014 mobile phone. My workflow is mainly based on Adobe Lightroom. I’ve used it since the very first public beta release and love it. I can’t imagine my photographic life without Adobe Lightroom. And then the big daddy of all graphic tools – Adobe Photoshop CC which I tend to use sparingly after getting Adobe Lightroom. i liked your amazing photography too. i’m going to be a frequent visitor of your website from today. Thats an impressive gear and awesome picz, will browse through slowly. I am from Bangalore and heard lots of migratory birds have come to Mulyadi, so if you know about that place please do share some information like how to reach the place from Bangalore, and the season of migratory birds.. so on. Nice to chance upon this site. Nice to hear from you. Thanks for dropping by my website and seeing it. Keep visiting it I usually post 1-2 posts every week on different subjects. I have been to a Mallyadi Bird Sanctaury. It is a around 11Km from Kundapur on Kundapur – Udupi Highway. When you proceed 10km from Kundapur to Udupi there is a local bus stop called Thekatte. Turn left and proceed 1 Km in a good tarred road to reach Mallyadi Temple. In front of the temple there is around 60 acres of Old clay pit which hold rain water and becomes bird sanctuary. It is winter migratory ground for many migratory bird which visit us from North India and beyond. Since the area is large birds are well dispersed and not easily visible. Feb- March is the best time as water dries up and birds congregate in a small area. End of march water will be totally dry and bird also disappear. Great collection! your gear does not list 300mm 4L/IS USM. Looks like you have the 2.8 now. Did you sell the 4L? I am looking to buy one. By the way, I am a friend of Shiva Nayak. Your pictures are awesome too! 5D M2 you do not have now ? hows is the B&H service and is it cheap buying from there as compared to indian market. It is quite cheap in USA (almost 20-25% cheaper) as compared to here in India. But when you import you get around 27% duty on the items. That makes the whole transaction worthless. B&H service is impeccable as always. They are very prompt in replacement. Once filters I ordered got stolen in transit by the courier. They replaced without even asking for proof etc, within a week. looks like u are going to add the Canon 1DX to that already drool wish list!!!!! i would love to hear your expert opinion about why/how the 1DX might or might not be better than the 5D mark II and 1D mark IV combined…. Yes as you suggested i have added upcoming Canon EOS 1DX to my wish list. It has all the great stuff included. As you can see whole canon community is gaga over the new entrant. It is the combination of 5Dmark II & 1D Mark IV. What I miss is the focusing ability even at f/8 which 1D Mark IV had. It is a small price to pay for all the other benefit which I am going to gain from 1DX. I am booking the camera and my 1D mark IV will be for sale in Feb 2012 🙂 I might keep the 5DMark II for the backup. 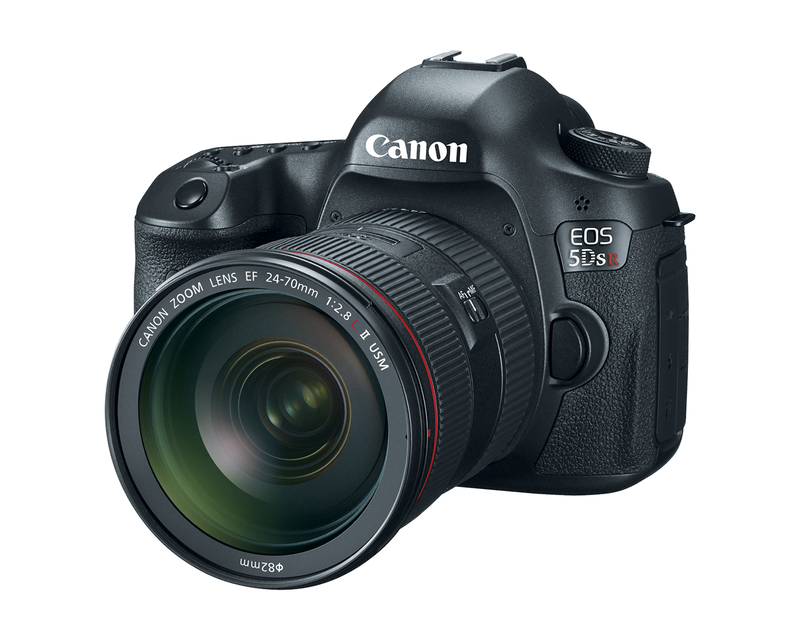 There are quite a lot of Studio photographers who were expecting 36 megapixel behemoth from Canon as a replacement for 1Ds mark III. Now 18 megapixel 1DX replacing it must be very disappointing for them. I really don’t understand the stupid megapixel race, I am happy that Canon stuck to saner 18 megapixel. Amazing Photography! I am a big fan of your’s. Got u r reference through Sampath,MRPL. I live in Muscat. Amatuer Photographer. very new. I have got Nkon D5100. wish to buy Tamron 70-200/2.8 through Amazaon. Also would like to buy a teleconverter for this lens. Any advise on this lense. Please concentrate on sharpness and composition . Thanks for your suggestion, I’ll keep learning and will keep your advice in mind. What motivated you to choose Canon for your work? Would you recommend the Canon Speedlite 270EX as a fill flash for glamour and travel photography? I found your website when I clicked on a small camera icon on my own website of a Orealando Hawk Moth. I have searched the web in the past for a picture, but found nothing except for the picture that I had taken. I think you mean 270EX II flash as 270 EX is discontinued. The Canon Speedlite 270EX II Flash is great for fill flash on cameras that do not come with a built-in flash – such as the Canon EOS 5D Mark II or III. The small size and close-to-line-of-site (creating less secondary shadow) are advantages for this use. But on a camera that has built in flash it is equivalent to that flash in power. I strongly encourage you to read the Canon Speedlite 430EX II Flash & Canon Speedlite 320EX Flash before making your purchase decision. The 320EX and 430EX II’s additional features and power are valuable in my opinion. 320EX wears the second-lowest Canon flash price. It is a very good value – a very useful tool. Mind blowing collection. Your clicks (photographs) detail description of everything is really amazing. I was searching some photographs on MV Kavaratti (we are planning for Lakshadweep trip) and got into your website through google search and lost! I am just a beginner (so called hobby photographer with Nikon D7000 and 18-105 lens), always hunger of information on the subject. Thanks for visiting my website. Lakshadweepa trip was a great one. I suppose you have read all about it here on my website. Keep in touch and keep visiting my website. You can join our Facebook photo critic group (https://www.facebook.com/groups/mangfoto/) if you are on Facebook. That’s a mind boggling collection of lenses & gears you have there…..it might take I don’t know how many years for me…..if I were to step into your shoes…..hahahahahaha. I really admire your dedication armed with skillful utilization of your Knowledge & Techniques……you simply STAND OUT OF THE CROWD SIR……hats off……!!! I really liked your photos.i have a nikon coolpix s6300 and have clicked some photos.One of the best is of a shikhra.I could send it if you want. The plural of camera gear is “gear” and not “gears”. Gears are what you find in automobiles and other machinery. Happen to come across your Facebook page – Mangalore Photography Club Photo-Critic Group. Have been your follower since then. Learnt a lot and desire to keep learning a lot from you. Have been following the B&H Site for Video based training. Thanks your able guidance and insights. This blog will be another inspirational site for enthusiasts like us. You are doing a real good job!!! i have benefited a lot reading your blogs.. i’m on my way to buy Sigma/Tamron 150-600mm lens (budget friendly), however i see that you have sold yours.. is there any specific reason (is it a bad one)? Not at all bad. I have 300mm f/2.8 & 500mm f/4 So having 150-600 is redundant. In fact I purchased it just for review (similar to 7D mark II) and immediately sold it. For that price performance ration there is nothing to beat Tammy 150-600. Gladly recommend. You seem to have sold a good number of lens and camera bodies. How do you manage? Please let me know the the best platform to sell used camera gear & accessories. One of your mentees Ashley referred you. Need some expert advice on purchasing a camera. I use my cameras (had a Sony HX400V) primarily for birdwatching, wildlife and landscape photography. The photos get posted on social media and on my travel company’s website. I travel very often and am looking for something light that I can shove in my backpack along with my laptop and other accessories. The Sony has gone kaput and I am looking to get a new one but not sure if I should wait for Nikon P1000 which is out next month. I also saw Panasonic FZ2500 which looked good on paper. What would you recommend? Thanks and appreciate it all the helpful info you have on your site.